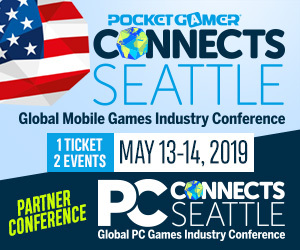 Given he’s been talking at Blockchain Gamer Connects conferences since May 2018, it’s great to finally hear what John Linden (ex- Activision; Call of Duty and Seismic Games; Marvel Strike Force) is actually doing. Now revealed as the CEO of Mythical Games, the LA/Seattle startup has just raised $16 million in a Series A round to fund its vision of an item-focused blockchain gaming platform. “We’re building a new technology that will make it super-easy for developers to tokenize their assets,” Linden explains. We’re building a new technology that will make it super-easy for developers to tokenize their assets. That stated, there remains plenty of education still to do before everyone gets the message blockchain will drive the next wave of game monetization. That’s what Mythical Games is planning to accomplish over the coming months and years. As well as building out its tools and platform, it will be launching a series of games to demonstrate how to operate a game with items held on a blockchain. “We’re not a game studio so we are working with external developers for an initial slate of releases,” Linden says. These will be used to test the technology and also find out more about how gamer behavior changes when they actually own and can trade in-game items. “We need to understand how the psychology of these economies work in terms of metrics such as LifeTime Value,” Linden says. This is particularly the case as Mythical Games’ platform will encourage developers to allow users to customize their in-game items. This could range from sandbox-style user-generated content to more complex manipulations such as changing textures, meshes and animations. the blockchain is vital in terms of the features it enables but secondary with respect to how it enables them. “I don’t think everyone will be doing this but as with F2P games, I expect that a small percentage of users will account for the vast majority of content and revenues,” he says. 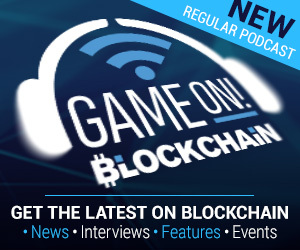 Another significant aspect of Mythical Games’ approach is how it will present its blockchain features to gamers. The short answer is it won’t. Partly this is because it’s running on EOS, which has a very complex onboarding process in terms of setting up a wallet and staking EOS to gain access to the blockchain. But partly because Linden believes how any blockchain works is irrelevant to the vast majority of users. “They won’t know it is a blockchain, and because we’re running on EOS, we can stake for users and hide fees,” he says. The platform’s marketplace will also run using fiat currency, although power users will be able to peel away this abstraction and handle their own wallet keys etc if they want to. In this sense, Mythical Games joins blockchain game companies such as Azarus, AppCoins, Enjin and WAX, which in varying ways are abstracting the complexities of their underlying technology to create the sort of streamlined user experience that can’t be matched through Ethereum and Metamask. In other words, the blockchain is vital in terms of the features it enables but secondary with respect to how it enables them.